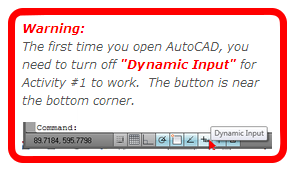 then choose "Save as..." and save the file as "Activity-3.dwg"
With Activity #3, we will be using Polar Coordinates. Polar Coordinates are your way of saying, "From this starting point, move a specific distance away at a specific angle." To the right is an example of Absolute, Relative and Polar Coordinates. To the right is a drawing using the numbers from the examples above. Means: From the starting point, make a new point over 30 and up 40. Means: From the starting point, make a new point a distance of 40 and an angle of 30. 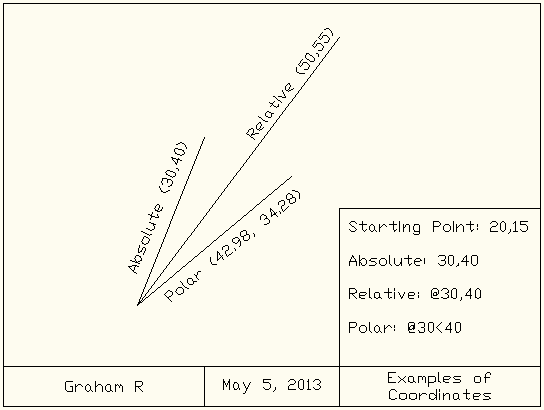 So now you should understand the differences between Absolute, Relative and Polar Coordinates. 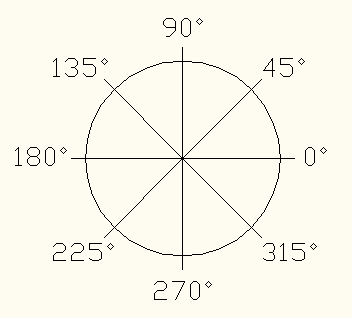 With Polar Coordinates, we only need a distance and an angle! 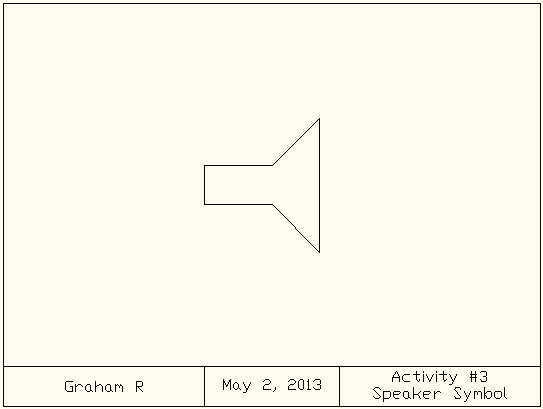 Save this drawing as "Activity-3.dwg".